Sayville St. Lawrence SOLD OUT! 10am (ages 2,3) -introduction to individual skills, dribbling, turns, shooting, using different surfaces of the foot & introduction to 1v1 activities. 11am (ages 3,4) -introduction to individual skills, dribbling, turns, shooting, using different surfaces of the foot & introduction to 2v2, 3v3, 4v4 games. 12pm (ages 4,5) -introduction to individual skills, dribbling, turns, shooting, using different surfaces of the foot & introduction to 2v2, 3v3, 4v4 games. SUSA Smithtown League SOLD OUT! Sunday @ 10:00am 2.5yrs - 5yrs -Session is split based off of age & ability. Introduction to individual skills, dribbling, turns, shooting, using different surfaces of the foot & introduction to 1v1, 2v2, 3v3, & 4v4 games all age appropriate. HappyFeet classes are 30- 45 minutes in length (National Association for Sports & Physical Education recommendation). Every child has a ball at their feet throughout our classes. 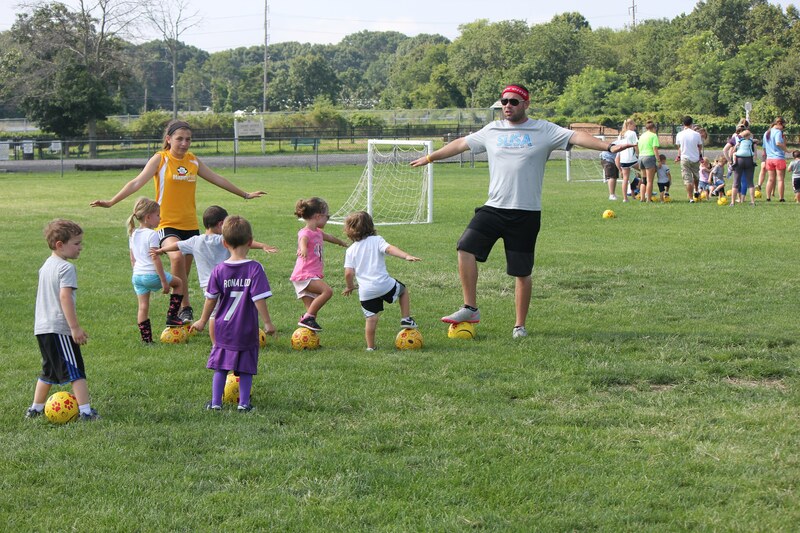 HappyFeet uses nursery rhymes, songs, stories, adventures, and games with a soccer ball to maximize motor skill development and individual skills. Two and three-year-olds love acting out nursery rhymes and songs; four and five-year-olds have a blast with fun adventures and games. Kids love taming their “Bob the Bobcat” soccer ball! HappyFeet themes are a fun approach ensuring your child has an absolute blast while developing elite physical skills and self-concept. 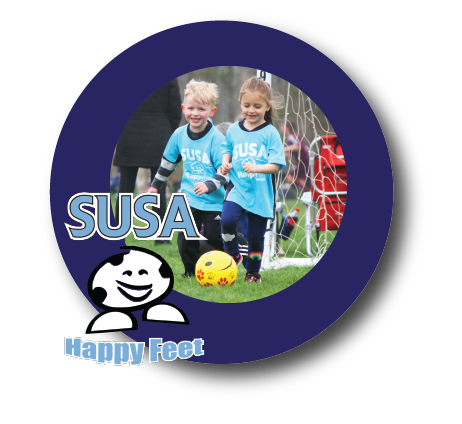 The HappyFeet curriculum is designed to gradually develop ever more advanced physical skills and self-belief. HappyFeet is age and skill level appropriate. Your child will learn to skillfully perform some of the most difficult moves in soccer. You will be amazed when you see your three-year-old performing advanced dribbling skills after just a few weeks in the program! They will also work extensively on striking the ball to score goals.